American Airlines and Apple team up! AA will be the first commercial airline to offer free access to Apple music through in-flight wifi. Spotify and Southwest sound good together. Just sayin. Scooter wars in the Bay Area. Spin (recently acquired by Ford) was shut down for the time being in San Francisco. This leaves Skip and Scoot as the only scooter options in SF. Is this real life? Remember when Jim and Michael from The Office split managerial duties. Jim focused on the day to day and Michael was big picture stuff. Today, we’re focusing on Jim. Let’s call Jim micro conversions. Macro conversions consist of the overarching goals of your site (a sale, consultation signup, etc.) while micro conversions are the true needle movers. These conversions are all about understanding your customer’s behavior and in turn using that data to run highly targeted campaigns that convert. So, how do you track these micro conversions? Good question. Enter Google Analytics. If you’re not using GA, get on it! Login to your GA account and click ‘admin’. From the column view, click ‘new goal’. We recommend selecting a templated goal, but you can also create a custom goal. Name your goal and how you’ll choose to track it. Voila. You can now track everything through the ‘conversions’ page. Everybody loves a fast website; especially, Google. Do you know how fast your site is? 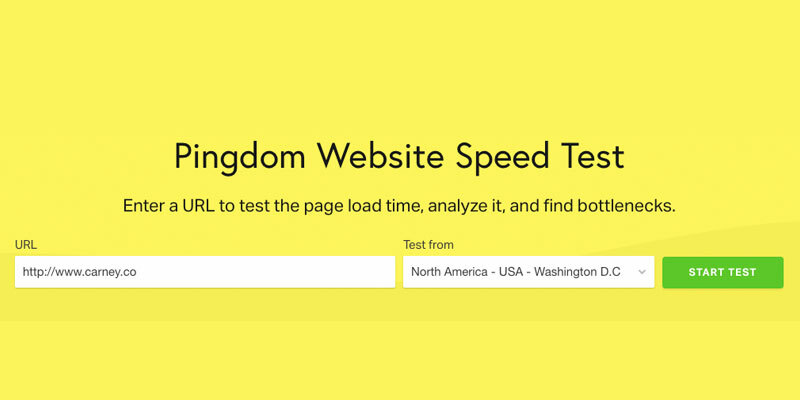 The web page speed test from Pingdom will help you identify what’s fast, slow, or too big, and provide best practices. What we like: It’s free and easy to get initial results. 14-day free trial (cancel anytime). Today’s watch is a powerful one. You’re gonna need about 23-minutes, so you might want to watch the trailer now and save the feature for later. Six strangers are brought together at Plymouth Church in Brooklyn, New York. Little do they know how connected they actually are. 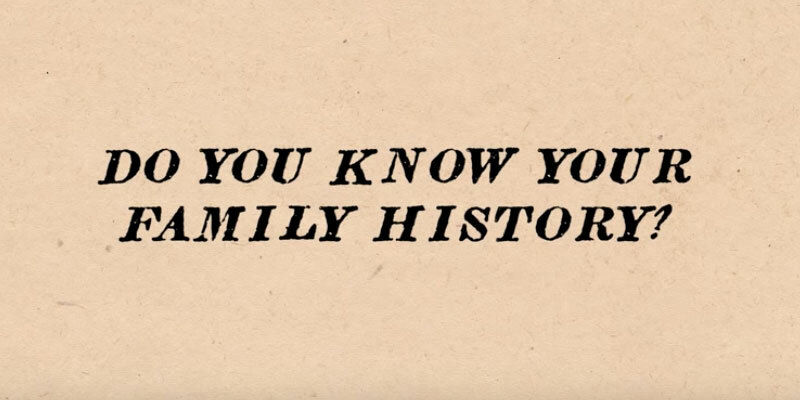 Ancestry and SundanceTV partnered up for this short film and we highly recommend it. Van or station wagon? How about both? 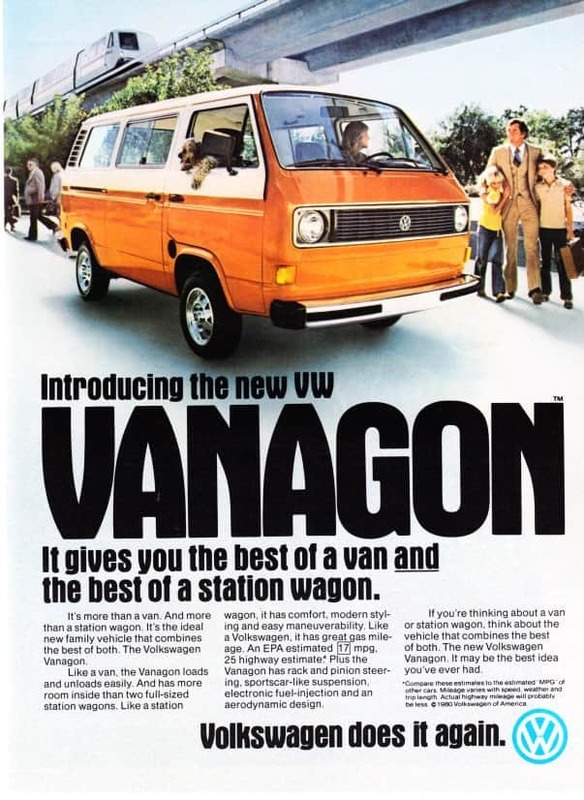 1980 Vanagon ad. The ideal family vehicle. How about that dog owning the passenger seat? It’s getting kinda gross in here today.